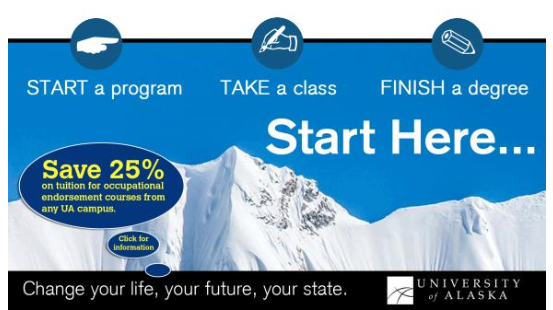 Career Education programs meet the short-term training needs and long-term vocational, technical, and occupational needs of the residents of Southeast Alaska. These programs provide specific job-related skills for employment, lifelong learning opportunities, and professional advancement that enable graduates to function effectively in a technology-dependent society. There are many opportunities available to you through Career Education including programs in Applied Technology and Health Occupations.